All employees at Cascade Chemistry are highly-skilled chemists with backgrounds from pharma, specialty chemicals, and academia. Since 1980, our chemists have produced work for over 25 US patents – all of which are held by our clients. This alone is testimony to the creativity and productivity of our people. Dr. Marsden is at heart an organic chemist, and secondly a business owner and face of the company. In his lab work, he has specialized in heterocycle synthesis, catalyzed cross-couplings, conjugated aromatics, and steroids. Experience includes custom synthesis, scale-up, route optimization, and transfer of a process to production of clinical trial material. In September 2012 Jeremiah purchased Organic Consultants, Inc. when Lloyd Dolby retired. After 8 years as a senior chemist at Organic Consultants, Inc., he gained critical skills in synthesis particularly towards pharmaceutical processes. As the leader of Cascade Chemistry, he manages the company’s team of chemists, communicates with clients and has grown the company by over 400% since 2012. He can still occasionally be found in the lab. Jeremiah earned his PhD from the University of Oregon with Professor Michael Haley where his research involved the synthesis and characterization of phenylacetylene macrocycles and cross-coupling reactions. There he authored nine publications and one book chapter. Dr. Marsden received both a GAAN and IGERT fellowship while at the University of Oregon. 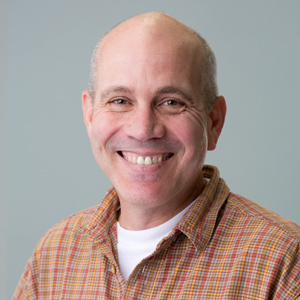 Nick Janofsky earned a Bachelor of Arts Degree in Chemistry and Biology from Lawrence University in 2003. Since graduating, Nick has been an analytical chemist and GMP manufacturing specialist working in the quality control of small molecule reagents, API and final dosage form pharmaceutical products. He has gained extensive chromatographic and spectroscopic method development experience working within GMP/GLP regulated environments where he has utilized a variety of techniques such as HPLC, GC, ICP, Uv and ELISA to develop analytical methods for final product assay, stability indicating impurity assay, trace residue analysis, reaction monitoring and assay of raw materials which meet USP <1225> and ICH Q2A method validation standards. Nick has also participated in API manufacturing process development. As a project manager, it has been Nick’s responsibility to plan and coordinate the scale up of bench top synthetic process to kilo scale process with various project work groups. Working in this role, he has conducted engineering studies and authored documentation to support GMP manufacturing including equipment qualification protocols, process validation protocols, MMRs, batch records and process cleaning assessments. Nick currently administers the quality control program at Organic Consultants ensuring regulatory compliance with agencies such as the FDA, DEA and EPA. In addition to quality management, Nick also collaborates with our PhD chemists to provide hands on analytical support for GMP regulated manufacturing. 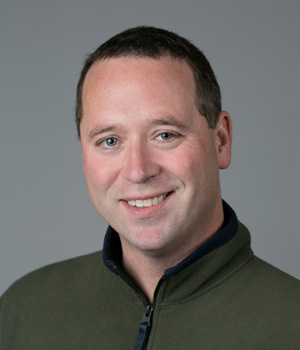 Dr. Bodner earned a Bachelor of Science degree in Biochemistry from the University of Oregon in 2003 where he conducted undergraduate research in chemistry with Professor J. Keana. He earned a PhD in 2010 at the Johns Hopkins University where he worked with Professor C. A. Townsend developing new asymmetric syntheses of carbapenem antibiotics and elucidating the function of enzymes in the thienamycin biosynthetic pathway. This work resulted in four publications and a patent. He returned to the University of Oregon for a postdoctoral research position in a collaboration between the labs of Professor Michael Haley and Andrew Berglund. His work synthesizing pentamidine derivatives for medicinal and mechanistic studies was funded by a Myotonic Dystrophy Foundation fellowship and a Ruth L. Kirschstein NRSA. He became a member of Cascade Chemistry in the fall of 2012. Dr. Pinson earned a Bachelor of Science degree in Chemistry at the University of California, Davis in 1995 where he worked elucidating the alkyne zipper reaction with Michael Nantz. He then was employed as a production chemist at Syva Co. (Syntex) in Cupertino, CA preparing therapeutic and drug of abuse analogs for diagnostic testing. In 2001, he obtained a PhD in organic chemistry, while studying with Charles Grissom, at the University of Utah in Salt Lake City. While in Utah, he prepared several Vitamin B12-chemotherapy drug conjugates and co-authored a paper. Patrick then moved to Reykjavik, Iceland where he provided drug discovery services for Decode Genetics. He then moved to Oregon where his work in dye chemistry at Invitrogen (Molecular Probes) resulted in one patent and a publication. He became a member of Cascade Chemistry in the fall of 2013. Dr. Shirtcliff graduated from the University of California at Santa Cruz in 2001 with a B. S. in Biochemistry and Molecular biology, where she worked in the lab of Prof. Bakthan Singaram on boronic acid glucose sensors. She earned her PhD researching concerted heterocyclic cyclization reactions through a combination of synthesis, methodology and computational chemistry with Prof. Michael M. Haley. Her doctoral work resulted in 11 publications. Laura was then awarded an NSF-IFRP postdoctoral fellowship to conduct research at the ETH-Zurich, Switzerland under the advisement of Prof. François Diederich, where she published two papers on novel switchable organic nano-containers. Following her time in Switzerland, in 2008, Laura accepted an academic position at Oklahoma State University. With the assistance of her students, she conducted research into the synthesis and photophysical properties of n- and p-type organic semiconductors. Laura returned to her native state of Oregon as a senior scientist at Cascade Chemistry in February of 2014. Dr. Donde earned a B.S. degree in chemistry from California State University, Fullerton in 1991 where he conducted undergraduate research in synthetic methods with Professor Gene Hiegel. This work resulted in a publication. Dr. Donde went on to earn a Ph.D. in organic chemistry from the University of Wisconsin, Madison in 1996, where he worked with Professor Edwin Vedejs on the asymmetric synthesis of P-chiral phosphines . During his time at Wisconsin, Dr. Donde was awarded an Eastman Kodak graduate fellowship and was also co-author on two publications. 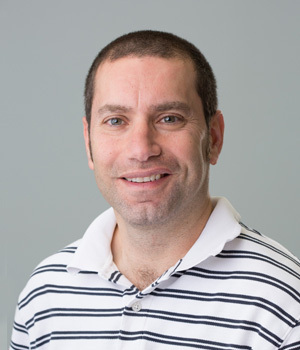 After graduate school, Dr. Donde returned to Southern California where he was an NIH postdoctoral fellow in the labs of Professor Larry Overman at the University of California, Irvine (1997-1999). At Irvine, he worked on the catalytic asymmetric synthesis of allylic amines by the rearrangement of allylic imidates using planar chiral palladium catalysts. This work resulted in two publications and a book chapter. Dr. Donde joined Allergan, Inc. in 1999, where he worked as a medicinal chemist primarily in the area of prostaglandins for the treatment of glaucoma. During his 16 years at Allergan, Dr. Donde co-authored over 40 patents and 4 publications. 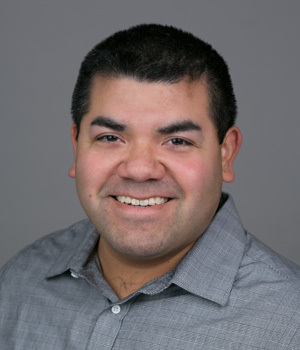 Dr. Donde joined Cascade Chemistry in July 2015. Mr. Mohler graduated from the University of Illinois Urbana-Champaign in 1995 with a B.S. in Chemistry, working on synthesis of molecular models of transmembrane protein signaling with Professor Peter A. Petillo. Upon graduation, he worked as a medicinal chemist and combinatorial chemist for P&G, Abbott Labs, and Searle/Pharmacia. After the Pfizer acquisition of Pharmacia, Scott became a project manager for a small API facility, managing clinical, validation & commercial projects. After helping to formalize & improve the internal processes, he took over the West Coast Business Development role. Since then, Scott has found a niche in helping small drug discovery service organizations implement project management & sales processes, providing the stability required for responsible growth. Scott joined Cascade Chemistry in December 2015 as head of Business Development. David has a M.S. from the University of Nebraska – Lincoln and a total of 35 years of laboratory experience in organic chemistry/medicinal chemistry research. He began his career in organic chemistry as an undergraduate research assistant with Nicholas Natale at the Univeristy of Idaho performing multi-step organic synthesis of 4-chloro-methyl-3,5-dimethyl-isoxazole and novel 1,4-dihydropyridine calcium channel blockers of the Nifedipine class. He learned peptide chemistry at Abbott Laboratories under Dr. Megumi Kawai where he discovered hepta-peptide and hexa-peptide analogues of the C-terminus of the anaphylatoxin Complement C5a- which resulted in two patents. Upon returning to graduate school David pursued studies in asymmetric organic catalysis via chiral bis-oxazoline metal chelate complexes for performing asymmetric room temperature Diels-Alder reactions. He created >10 novel chiral ligands and performed over 100 asymmetric room temperature Diels-Alder reactions. Upon completing a M.S. degree he returned to the pharmaceutical industry by joining the Eisai Research Institute and contributed to the development of anti-cancer drug Eribulin by performing the scale-up synthesis of multi-gram quantities of the C1-C13 fragment of the carbohydrate natural product Halichondrin B according to the methodology of Yoshito Kishi. He also had repeated experience in peptide based projects and organic chelator synthesis in the form of DTPA and DOTA metal chelator analogs. He also has experience with a start-up biotech company developing peptide and antibody conjugation and immobilization strategies and surface chemistry. He has 7 years of experience in the process/scale-up chemistry group at Elan Pharmaceuticals and participated in the process development and process optimization with 4 compounds that advanced to clinical trials. He participated in the technology transfer of projects to CMOs and provided critical insight and guidance that resulted in further refinement of the manufacturing process of one of the projects that enabled the successful manufacture of the compound on 200 kg scale. Before joining Cascade Chemistry he was a member of the Organic Manufacturing group at Life Technologies/Thermo Fisher Scientific and was responsible for the synthesis of numerous fluorescent dyes and hetero-bifunctional crosslinkers. He also participated in synthetic method troubleshooting and has experience with ISO 9001, ISO13485, and cGMP manufacturing environments. Mac Monson earned a Bachelor of Science degree from the University of Oregon in 2008. As an undergraduate he conducted research in the laboratory of Dr. Michael Haley, synthesizing highly conjugated aromatic compounds with novel optical and electronic properties. After graduating, Mac worked for Asemblon, Inc. in Redmond, Washington, preparing straight chain alkane thiols for application in Self-Assembled Monolayers. In 2011, Mac obtained his Master’s degree in Chemistry from the University of Southern California, where he studied fungal secondary metabolites for use in drug design with Dr. Clay Wang. After receiving his graduate degree, Mac was a Chemistry Instructor at Lane Community College in Eugene, Oregon for five years. He became a member of Cascade Chemistry in March 2016. 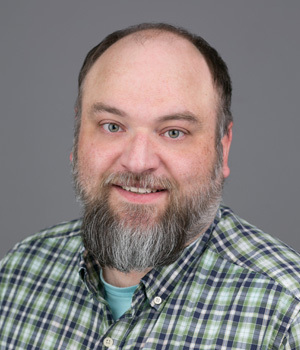 Dr. Marshall earned a Bachelor of Arts in Chemistry and German Language and Literature from Kalamazoo College in 2006 where he conducted undergraduate research with Professor Greg A. Slough. Following graduation, he worked in the algae biofuel industry as an analytical and process automation chemist with Aurora Biofuels in the San Francisco bay area. In 2010, he began his graduate career at the University of Oregon with Professor Michael M. Haley where he researched the synthesis, characterization, and materials science applications of indenofluorenes, a class of antiaromatic compounds. His graduate work resulted in 11 publications, one book chapter and one patent. 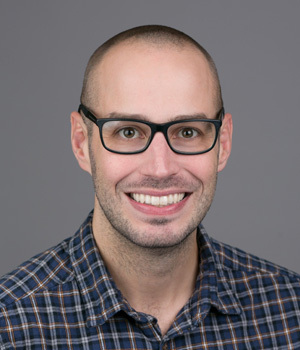 After receiving his Ph.D. in 2016 from the University of Oregon, Dr. Marshall was a postdoctoral fellow with Professor Rik R. Tykwinski at both the Freidrich- Alexander Universität Erlangen/Nürnberg in Erlangen Germany and at the University of Alberta in Edmonton Canada. There, Dr. Marshall researched the chemistry of very long cumulenes and platinated pyridyl alkynes in addition to moving and setting up Professor Tykwinski’s new graduate lab at the University of Alberta. His postdoctoral work resulted in three publications. Dr. Marshall became a member of Cascade Chemistry in the fall of 2017. Rodger Voelker earned his B.S. in chemistry at the University of Oklahoma, Norman OK, in 1989 and his Ph.D. at the University of Oregon, Eugene OR, in 1996. After a short post-doctoral fellowship at the University of California, Berkeley CA he took a job with the Oregon Dept. of Agriculture where he worked for 7 years as an analytical chemist and was ultimately promoted to be the Lab Director of the Pesticide Residue Laboratory. He later moved back to academics and took a position at the University of Oregon as a research associate where his research focused on pre-mRNA splicing and evolution of mammalian genomes. 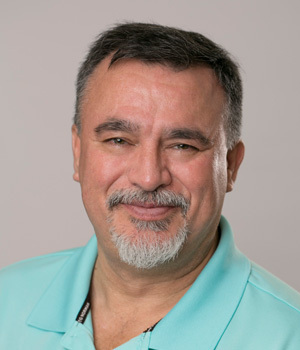 After approximately 7 years, Rodger helped found OG Analytical, a privately owned analytical testing company located in Eugene OR, where he also worked as the laboratory director. 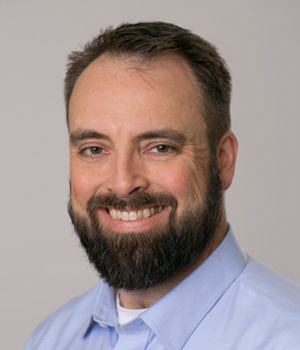 He recently decided to join Cascade Chemistry, also located in Eugene OR where he provides analytical and QA/QC support. Dr. Melton earned a Bachelor of Science degree in Chemistry from Francis Marion University in Florence, SC (2002). After graduation, he joined IRIX Pharmaceuticals as a process development chemist, where he was instrumental in the development of kilogram-scale processes for a variety of Phase I, II and III APIs. Dr. Melton later moved on to earn his doctoral degree under the mentorship of Philip Power at the University of California, Davis, focusing on small molecule activation using organo-main group and organo-transition metal derivatives. 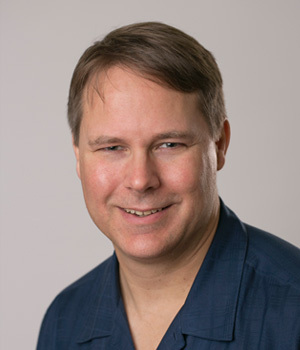 Chris has extensive experience in the process development of small molecules for applications ranging from pharmaceuticals to rocketry and electronic materials. This experience includes APIs in cGMP and regulated non-GMP environments, route scouting/process development for a variety of organic and organometallic materials as well as expertise in a wide range of analytical techniques. Dr. Melton joined Cascade in 2017. Charles Wells earned a Bachelor of Science in Chemistry and German from Oklahoma State University in Stillwater, OK. While studying at OSU he completed a lab praktikum at Ciba-Geigy / Novartis in Basel, Switzerland. He furthered his education by receiving a PhD in Organic chemistry from the University of Texas at Austin, TX. At Texas, Charles’ studies focused on the total synthesis of the marine alkaloid Nakadomarin A using the Pauson-Khand reaction to form a key tricyclic core of this molecule. After graduation further work was done at Oregon State University in Corvallis, OR, this work focused on the synthesis of the southern ring system the polyketide Azaspiracid 1. Upon completion of postdoctoral studies at Oregon State University, Charles began working as a process research and development chemist at Synthetech in Albany, Or. At Synthetech Charles developed synthetic processes from grams to tons scale, while delivering advanced pharmaceutical intermediates to the ethical pharmaceutical industry. During this time, he became well versed in cGMP manufacturing and requirements. Charles had several roles at the company with increasing responsibilities. In 2011 WR Grace purchased Synthetech. With transition Charles moved into the role of Principal Scientist. In June of 2017 Charles joined Cascade Chemistry. Cindy Choy earned her Bachelors of Science in Biochemistry at San Francisco State University (SFSU) in San Francisco, CA where she was a recipient of the Department of Defense (DoD) scholarship. She furthered her education by obtaining her PhD in organic chemistry from Washington State University (WSU) in Pullman, WA. Cindy’s research focused on the design and synthesis of prostate-specific membrane antigen (PSMA) inhibitors. Upon graduation she continued her post-doctoral studies at WSU that focused on the synthesis and immobilization of affinity-based probes and recombinant protein expression. She was promoted to Assistant Research Professor in which she later transitioned into a management role where she oversaw the daily activities in the Berkman lab. She later joined Cancer Targeted Technology (CTT) as a Research Scientist and was responsible for the drug discovery/development stages that include devising and executing multi-step synthesis/process development, analytical method development, and managed CTT research technologists. She also oversaw the GMP manufacturing of CTT’s API by their CMO and participated in generating regulatory documents to support their IND application. 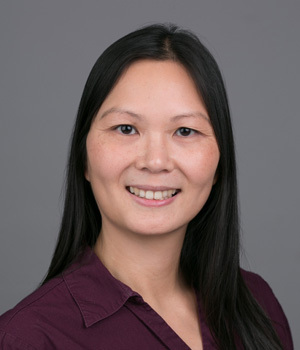 Cindy joined Cascade Chemistry in July 2018. Dr. Ortiz or Jerry began his chemistry at Purdue University Calumet (since renamed Purdue University Northwest). Here, he conducted research in science education with Dr. Alan K. Szeto and research in organic chemistry with Dr. Harold W. Pinnick. After graduating in May 2010 with a B.S. in Chemistry received with highest distinction, Jerry went to work for Avery Dennison Corp. However, at the recommendation of his mentors to continue his education in chemistry, he soon applied and was accepted to the graduate school at Duke University. Once there, Jerry affiliated with Dr. Qiu Wang where he conducted his dissertation research in electrophilic amination methodologies and applications in molecular labeling and imaging. Jerry received the Burroughs Wellcome, C. R. Hauser, and the Dean’s Fellowships while co-authoring eight scientific publications during his time at Duke. After completing his Ph.D. in Chemistry in September 2016, he transitioned directly to industry by joining ThermoFisher Scientific as an R&D scientist developing new organic fluorescent dyes for cell labeling. This required no small move from North Carolina to Oregon. Jerry became a member of Cascade Chemistry in July 2018. Austen Davis earned his Bachelor of Science degree in Chemistry at Washington State University in Pullman, WA. As an undergraduate he conducted research in the laboratory of Dr. Clifford Berkman for the synthesis of sulfamides as PSMA inhibitors. 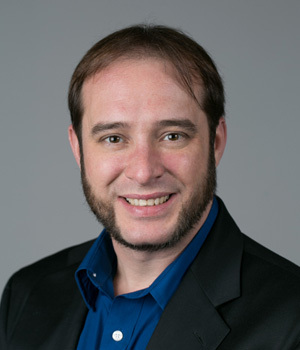 Austen earned his doctorate in 2018 at his alma mater under the guidance of Brian H. Clowers where he researched signal processing techniques applied to ion mobility and ion mobility-mass spectrometry measurements. 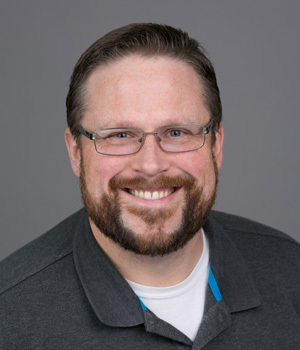 Austen joined Cascade in 2018 as project manager and analytical chemist. Born and raised in southern Oregon, Mr. Lusk earned his Honors Bachelor of Science degree in chemistry from Oregon State University in 2010. As an undergraduate researcher in Prof. Rich Carter’s group, he synthesized four novel analogues of the naturally-occurring carbazole siamenol, an analgesic with mild anti-HIV properties. He then performed the asymmetric synthesis of a precursor to the natural product aconitine via a tandem Michael-Mannich cyclization using Hua Cat, a novel proline-based sulfonamide catalyst. between the formation of dipeptide-based “peptide quantum dots” (PQDs) and guanosine quartets and quadruplexes. He earned his Master of Science degree in chemistry in 2013. Returning to his native Oregon, Mr. Lusk started at Marker Gene Technologies in Eugene. As a senior chemist, he was responsible for the design, optimization and manufacture of fluorescent probes for live-cell assays, with a particular emphasis on targeting to specific organelles. He also fulfilled various custom synthesis requests. His work with Marker Gene resulted in one publication and two patents. Mr. Lusk joined Cascade Chemistry in October 2018. Professor of Chemistry at the University of Oregon. He has a Bachelor of Science in Chemistry with High Honors from the University of Illinois where he did undergraduate research with Professor Kenneth Rinehart. Dr. Dolby’s PhD degree is from the University of California at Berkeley with Professor Donald Noyce. 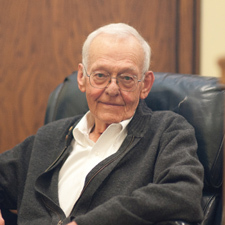 After a postdoctoral year at the University of Wisconsin with Professor Eugene van Tamelen, he began his academic career at the University of Oregon where he directed the studies of 22 PhDs, many of whom have led distinguished careers. This body of work resulted in nearly eighty publications ranging from secondary isotope effects to alkaloid synthesis. 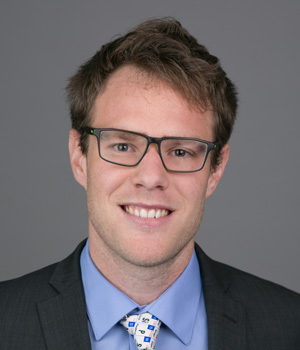 Dr. Dolby’s honors and activities include a National Science Foundation Postdoctoral Fellowship, an Alfred P. Sloan Fellowship, and a NIH Career Development Award. He was a visiting Professor at the University of Tokyo and he consulted for the National Cancer Institute. Dr. Dolby retired in September 2012 and sold the company to Dr. Marsden. Dolby passed away in May 16, 2014 due to complications from cancer. Dr. Avey obtained a Bachelor of Science degree in Chemistry from San Diego State University in 1987 where he conducted undergraduate research with Professor E. J. Grubbs. Following graduation, he worked as an analytical chemist for the City of Burbank, CA. In 1988 he began graduate studies at the University of Oregon and received his PhD in 1993 with Professor David R. Tyler. His graduate research was on the synthesis and reactivity of water-soluble organometallic compounds. 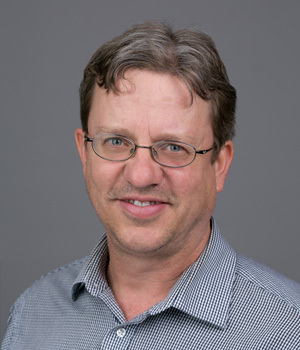 Following his PhD, Dr. Avey was a Postdoctoral Fellow with Professor Ross H. Hill at Simon Fraser University where he studied the synthesis and photochemistry of small molecules for the direct photolithographic depositing of metals and metal oxides. Dr. Avey has worked at Organic Consultants, Inc. since 1996 focusing on the synthesis of morphinan derivatives and other alkaloids. Dr. Avey is co-inventor on several patents in this area and several more on the synthesis of other API’s.